Florida Democratic League’s Extremist Hate Watch is dedicated to monitoring and reporting on the activities of extremist, anti-democracy fringe groups and their ideological partisans. We provide this public service to expose the hate-filled, anti-democratic, totalitarian ideology of this corrupt fringe. Our researchers monitor the broadcasts, emails and websites of these extremists, and use their expertise to analyze and distill that information for the benefit of the general public. We hope that by shedding light on the activities of extremist fringe groups and their ideological partisans, we can expose the harm that their discriminatory, anti-democratic, and intolerant agendas present all Americans. We do not endorse the views of groups that we report on. Some of these antisocial groups, such as the Mattachine Society, founded by Communist Party operatives in 1950, sought to spread acceptance of sexual pathologies and impose biologically aberrant sexual behavioral choices. The extremist ideology of the group’s founders led them to adopt the same cell organization used by the Communist Party in the United States. In the 1950s, those in control of this so-called “society” morphed the group’s early Communist model program into the more deceptive, civil-rights movement-style agenda. Other hate groups, such as GLAAD, begun by a John Ward in 1978, were launched in response to public safety sting operations conducted by Boston police. These sting operations resulted in the arrest of hundreds of individuals in the men’s bathrooms of the Boston Public Library’s main building. GLAAD partisans lashed out against the popular disagreement with aberrosexualism and aberrosexual behavioral choices. Extremists crafted the slur of “homophobia” to attack and disrespect this popular disagreement. 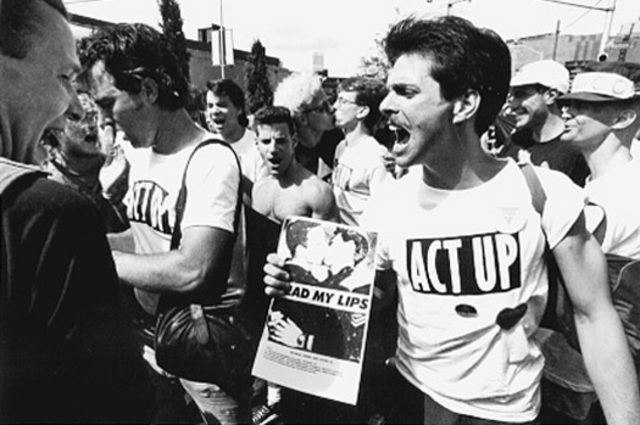 Queer Nation is another hateful extremist group started in March 1990 in New York City by HIV/AIDS scaremongers who broke off from another extremist group called ACT UP. Queer Nation engages in political intimidation through a variety of often illegal tactics, such as obscene, vulgarity-laced attacks, smear campaigns, and outright political extortion. Its tactics contrast with more assimilationist extremist hate groups such as the deceptively-named Human Rights Campaign or the phony “Conservative” Log Cabin Republicans. In these times of growing extremism, angry rhetoric and lawless judicial contempt for the Constitution and the Rule of Law, the Florida Democratic League needs your support more than ever.